New version of this rope bosal, this time made using 4 metal rings instead of 2 rings and two rope loops. It's faster and more reactive and in my opinion it looks even better than previous one! 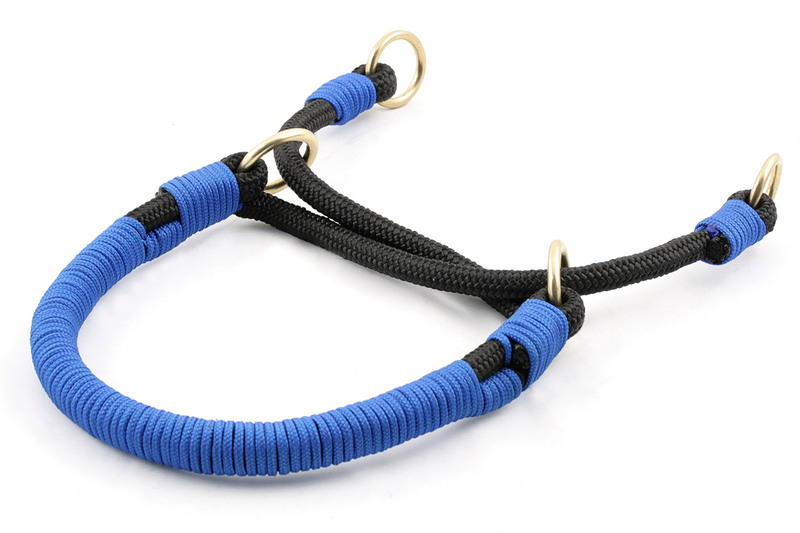 This one is Cob size, made using black rope and royal blue cord. Solid brass rings in 1" 1/8 and 1" size.